Experience the energizing new aftershave, SPLASH. Soothing like a cool ocean breeze with moisturizers that soften the skin. Its healing formula soothes razor nicks and bumps. Dab on generously after each shave and remember the extra dash on the back of your neck for added freshness. The rich, refreshing fragrance lasts really long and ups your confidence. 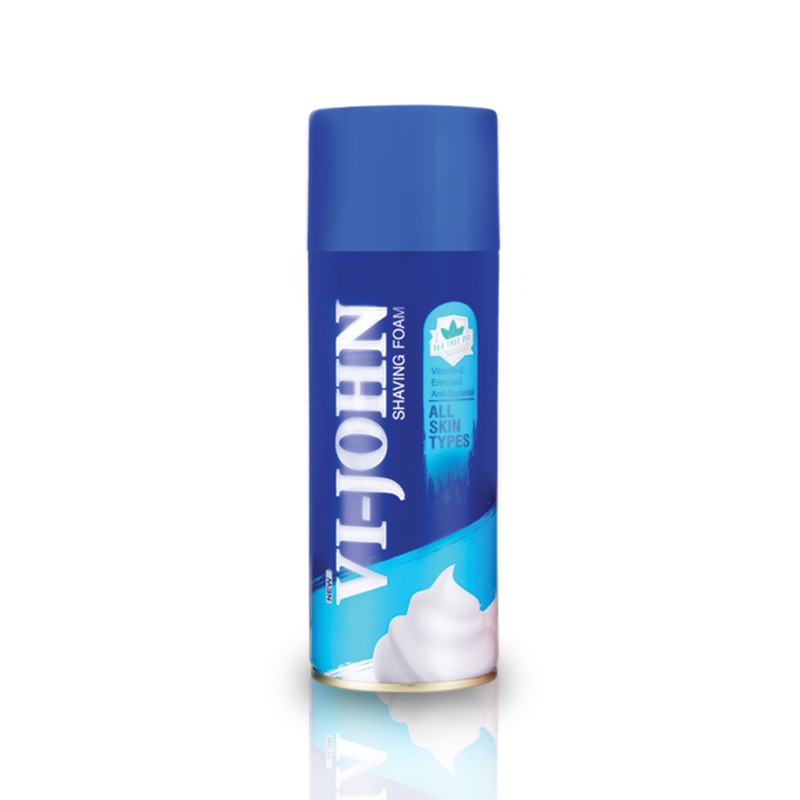 VI-JOHN Shaving Foams MICRO-FOAM turns your daily shave into a luxurious experience. It creates a velvety lather that not only makes the razor glide like a dream on your skin but also softens your future beard growth. Enriched with anti-bacterial tea tree oil that nourishes & protects the skin. It soothes the skin from any skin irritation and removes blemishes for a healthy looking and supple feeling skin. VI-JOHN Shaving Cream is enriched with Tea Tree oil, an extremely effective essential oil all the way from Australia. This rich essential oil has powerful germicidal properties that naturally destroy bacteria and heals cuts, burns, razor nicks and razor bumps. Apart from its BACTI-GAURD properties it also works as an excellent anti-oxidant that makes the skin soft and brings a glow to your face after your shave. 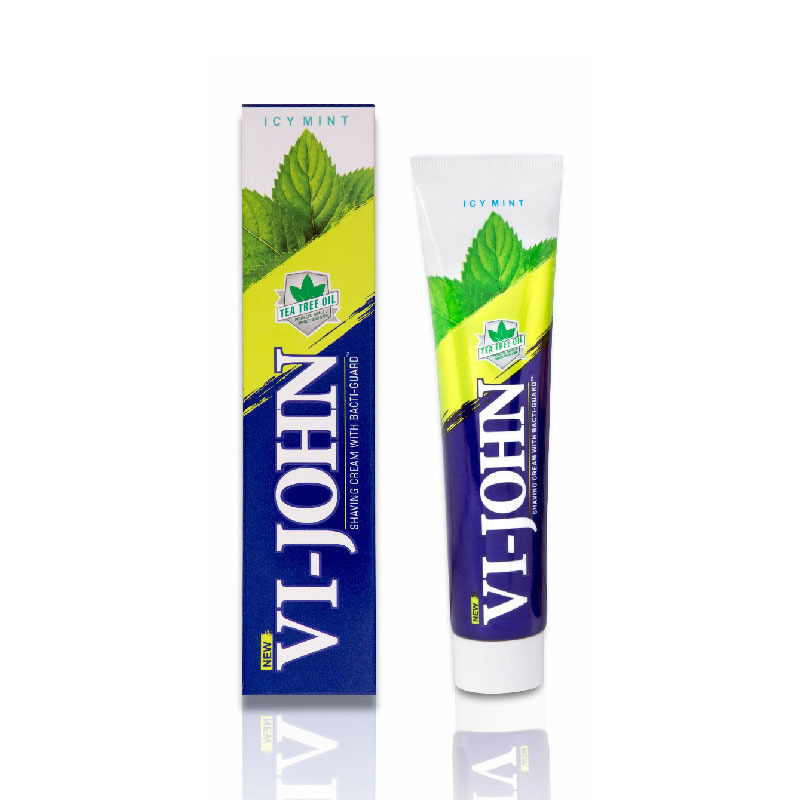 VI-JOHN Shaving Cream is enriched with Tea Tree oil, an extremely effective esssential oil all the way from Australia. This rich esssential oil has powerful germicidal properties that naturally destroy bacteria and heals cuts, burns, razaor nicks and razor bumps. Apart from its BACTI-GAURD properties it also works as an excellent anti-oxidant that makes the skin soft and brings a glow to your face after your shave. 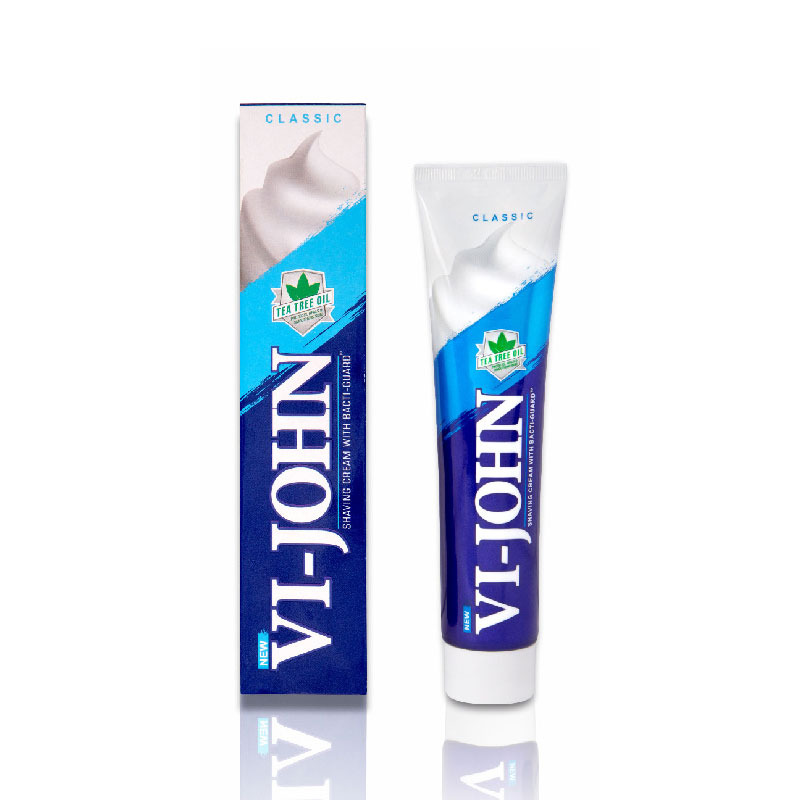 VI-JOHN PREMIUM Shaving Cream has the most luxurious lather you’ve ever experienced on your skin. It is enriched with Tea Tree Oil, an extremely effective essential oil all the way from Australia. This oil has powerful germicidal properties that naturally keeps dirt & bacteria away from your skin. Its subtle masculine fragrance will keep you feeling fresh.